Category: Rainbow Striped Beanie Hats. New for AW 17/18 we have designed the ultimate beanie to keep you feeling cheery on those downcast days! 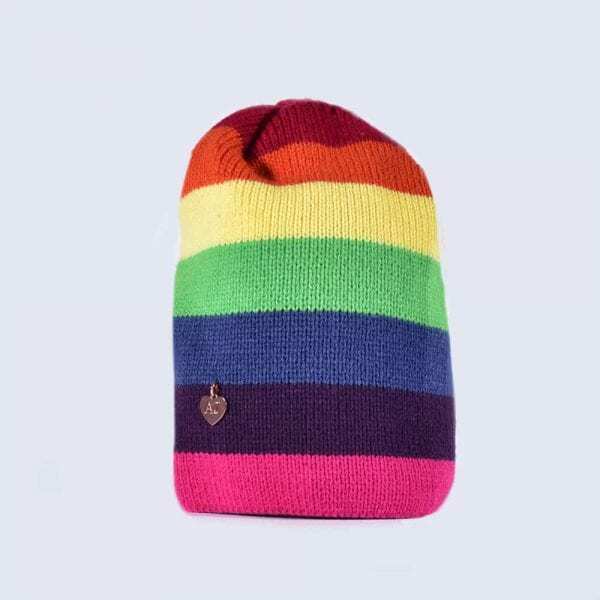 This rainbow striped beanie can keep you looking stylish and give a colour pop to any outfit. Made from 30% wool these hats are soft and accommodate any head size. Rose Gold “AJ” heart tag to front.